Undoubtedly it is just as important to know what to eat as where to eat, especially if you have travelled far and have a fear of missing out. It is also of course just as useful knowing where and what not to eat so you don’t feel you have unnecessarily wasted a mealtime. I think Singapore is one of the ultimate Asian eating destinations. 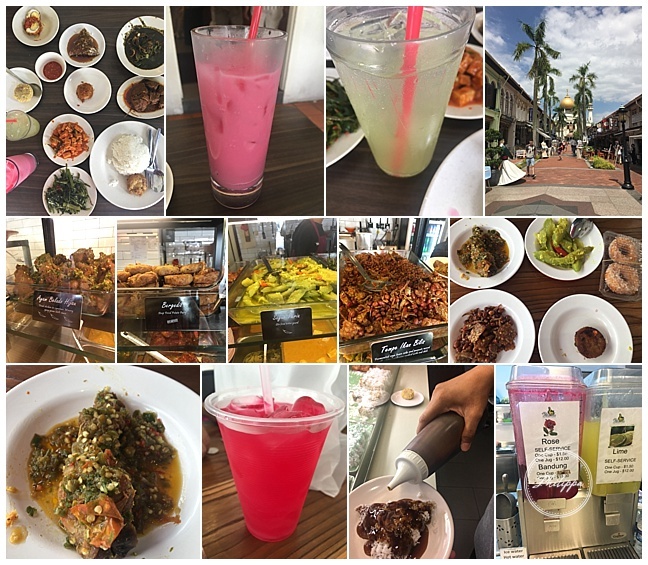 The island is a hot, colourful, sweltering mix of so many cuisines from the East done authentically and incredibly well. 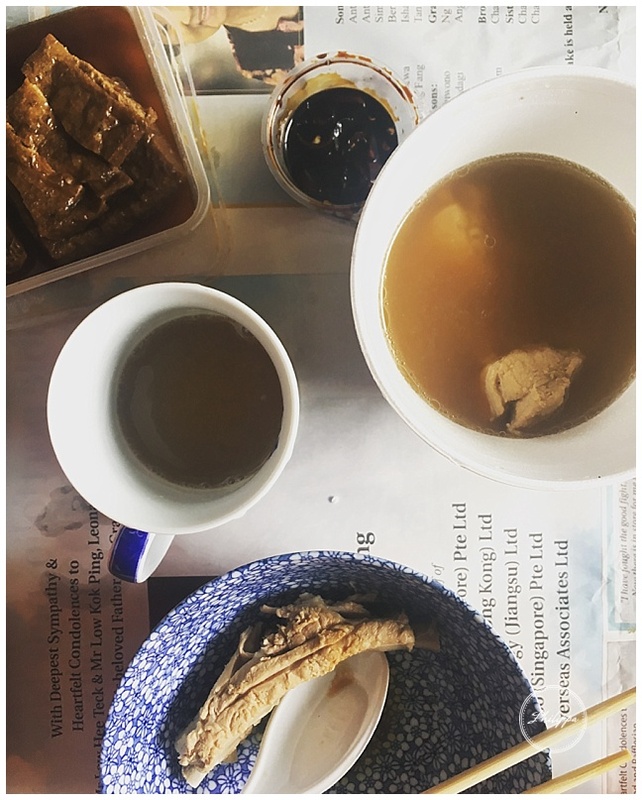 You can feast on Peranakan for breakfast, Indonesian for lunch, slip in a small bowl of Japanese ramen for pre dinner ( if you are dedicated ) and round your day with a Chinese extravaganza. With a large expat community there are of course lots of western restaurants too. Though I didn’t try them as flying 6736 miles to Asia in order to eat butternut squash risottos and eggs Benedict at a restaurant did not seem like a fun idea. 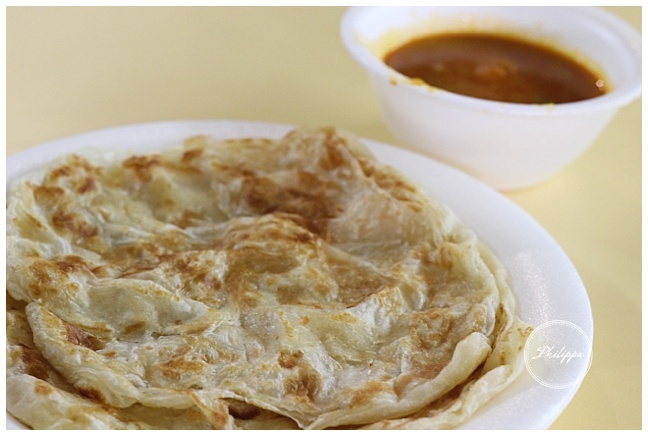 Singapore not only has an amazing choice of cuisines but also offers an exciting variety of types of places to eat. 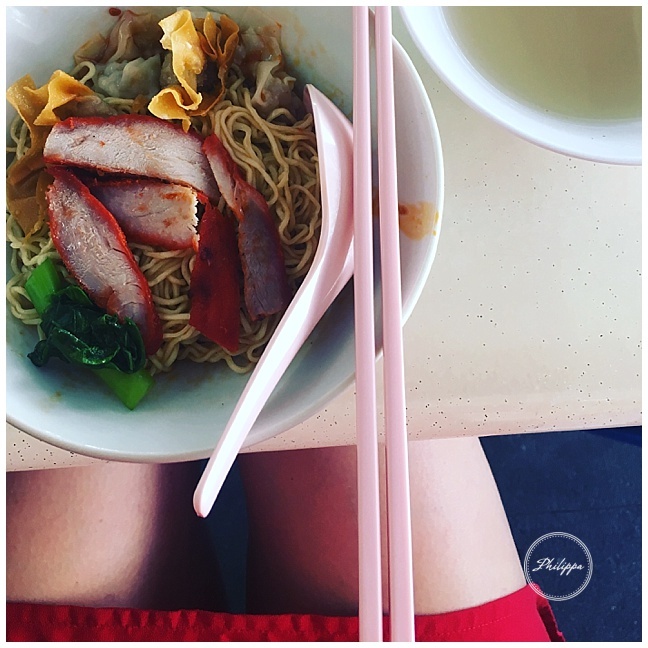 From fine dining to cheap eats in the Hawker centres, there is a massive amount of choice. 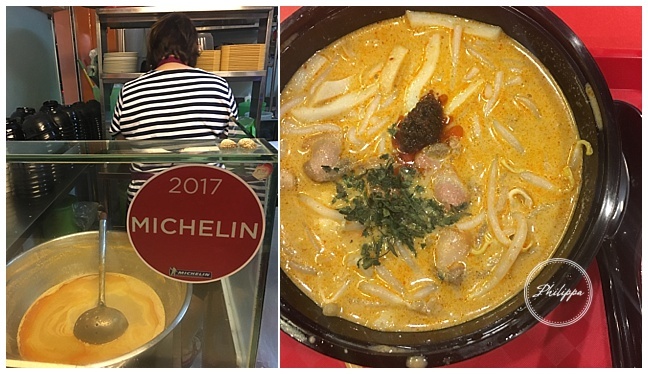 It is also home to one of the cheapest Michelin star meal you can get in the world, at an amazing $6 ( read on to find out more …..)!! 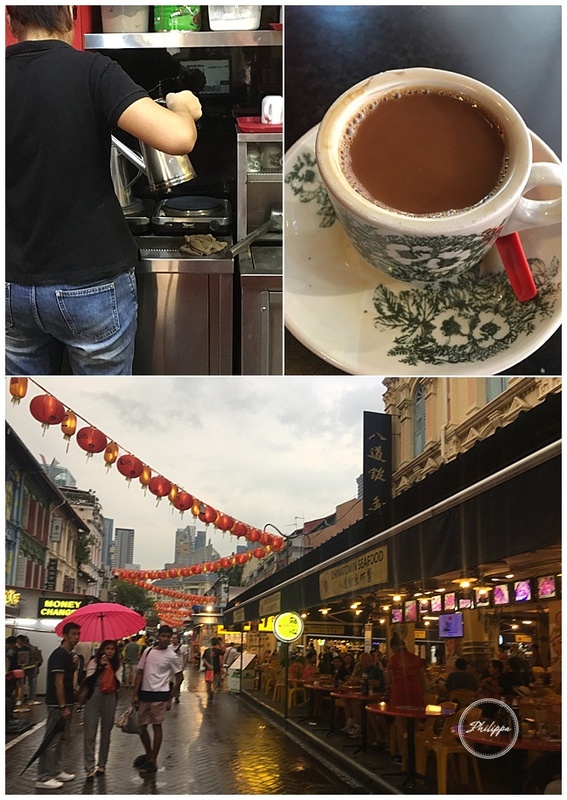 You can forget about your 100 % Arabica bean decaf soy lattes with a caramel shot to go if you want to immerse yourself in local Singaporean culture. Coffee time here is all about a strong kick from Robusta beans (usually considered the uncouth sibling of Arabica beans) , sweetened with condensed milk and sloshed into a china cup from an impressive height. Kopi, Malay for coffee, is made by roasting beans over coal with butter and sugar, this is then grounds and brewed in tall coffee pots with long spouts and poured back and forth to get a strong rich brew until it mostly ends up in your pre-warmed thick white and blue china cups that has had a slosh of condensed milk added at the bottom. You can get it without condensed milk but then you are removing half the pleasure. 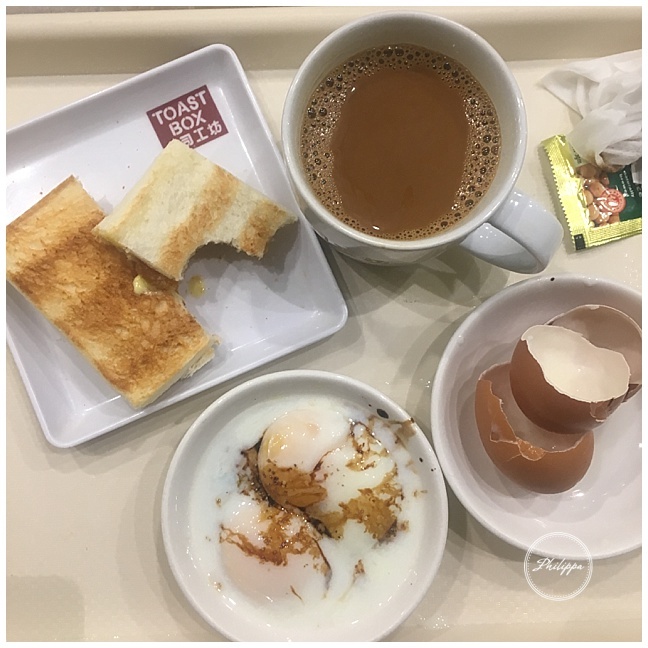 A traditional breakfast will consist of 2 alarmingly very soft boiled eggs, toast smothered in kaya jam (eggs, sugar, coconut milk and pandan leaves.) and a side of soy sauce and white pepper. Sounds yuk? It is. Peel your eggs and place them in the bowl, season with soy and pepper. 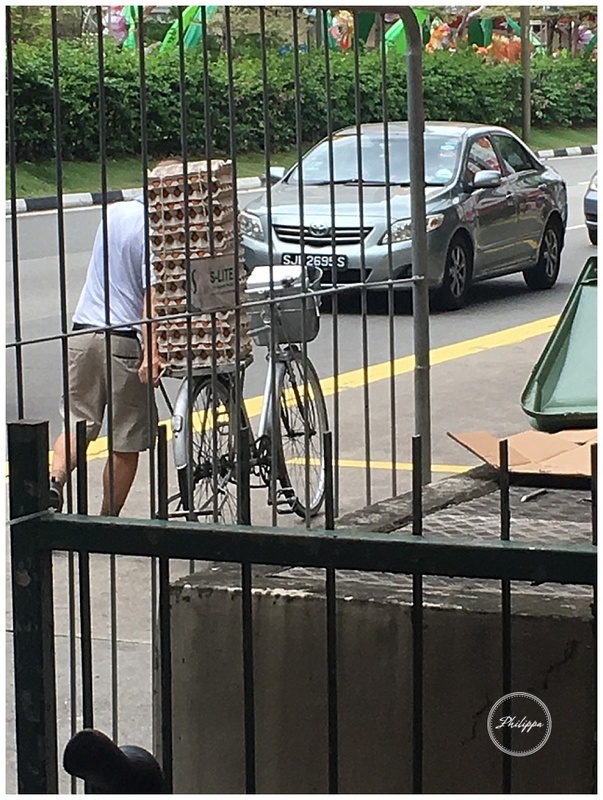 Dip your kaya toast into the eggs, put it in your mouth and swallow. Wash down with Kopi. 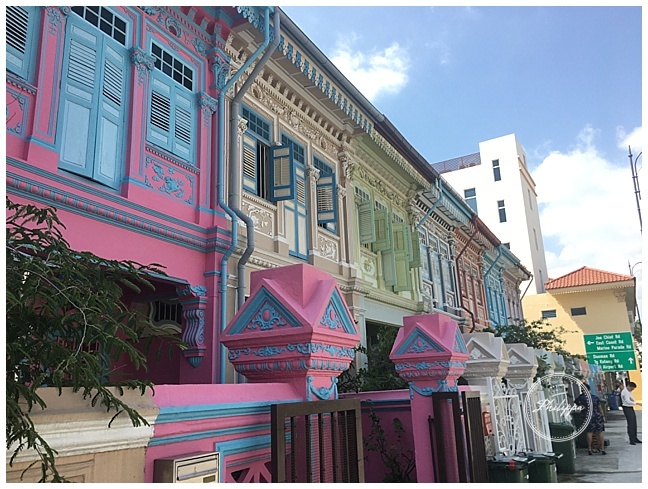 Come here not only because the surrounding area has some of the prettiest Peranakan houses you will ever see but also because it is a great food adventure. As I was fitting in two lunch stops that day I arrived unfashionably early for lunch. Due to the time I had to scrap one of my first rules of eating out, especially abroad, which is only eat in places filled with locals. There were however a few happy looking octogenarians happily tucking into bowls of food so I pressed on. The Chinese proprietor ushered me in with an encouraging smile, took my order after a few attempts of me mispronouncing the dish and sat me down on the far side of the restaurant in her line of sight. This place has taken open kitchen to a whole new level. The street melts into the ‘al fresco’ area, that melts into the dining area that melts into the kitchen all decorated with a sea of bright blue plastic chairs. I had come to try their infamous wanton noodles so ordered myself a bowl along with a cold beer. When my pile of dry golden noodles arrived, topped with a pile of crispy wantons and slices of juicy looking tender pork there was a side bowl of broth. ‘Do I pour it on?” I half said / half mimed to the lady. She wagged her long bony finger at me and shook her head, then scuttled back to her side of the room and unapologetically stared at me. Rather adept at using chopsticks ( for someone who grew up in Dorset) I popped the crispy wantons seamlessly into my mouth and had equal success with the noodles and pork. She smiled at me encouragingly and nodded approval. I then took a slurp of the broth with the big spoon I was given and I saw her shoulders relax. Clearly I had passed the test and she felt relaxed enough to let me eat the rest of my food in peace as I wasn’t going to commit sacrilege to the recipe that had been passed down through her family for generations. For those of you unfamiliar with this fruit let me warn you, there is good reason it is banned on public transport in Singapore. There is also good reason it hasn’t become as globally popular as the mango or banana. It is revolting. The stench of rotten egg, the smelliest of socks and sick festers from the mushy yellow cod roe looking blobs of flesh. Did I try it ? Of course! Should you ? Why not !? I was sweetly given some to try by someone who genuinely loves it so I had to moderate my true feelings about the experience. You can get the Durian seller from the fruit or wet markets to cut it up for you I suggest you try it then and there as you do not want any leftovers lingering around for longer than necessary. Many corner shops also sell durian ice lollies which at $1 seemed not too much of a commitment if you only wanted to try 1 or 2 licks before making up your mind that this fruit was never going to be part of your regular five a day. If you fancy a Malasian feast head to the Adam Road hawker centre . The stalls are conveniently laid out in a circle so you can easily check them all before deciding what you want to eat. 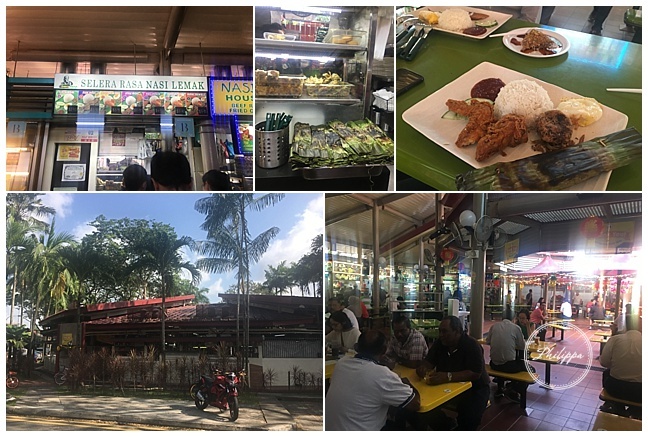 If you are feeling adventurous head here for breakfast with the locals and tuck into nasi lemak – a rice dish cooked with coconut and pandan and served with sambal, a spicy sauce, egg, crunchy peanuts and dried anchovies. It may also come with fried chicken or fish. What makes the dish unusual is the rice is soaked in coconut water then served wrapped in the pandan leaf which adds it unusual and distinct ( in a good way) aromas. My breakfast was amazing and the dried anchovies were surprisingly Moorish considering the hour of the day. Definitely a foody adventure worth making. If you really want to fit in drink a mug of sweetened tea like everyone else. This is the first street food seller in the world to win a Michelin star proving that it isn’t after all about how well ironed the napkins are. Awarded for his soy chicken and rice people have been queuing for hours to try it. The original stall is in the china town food centre and if you cant get your helping there he has a fast food restaurant just outside and another across town. I was super excited at the thought of getting to eat this simple looking and sounding dish and was charmed from what I had read about this quiet, unassuming, dedicated chef. Rather intrigued how such a simple dish served in such a non-controlled rustic atmosphere could gain such a coveted accolade I tried to keep an open mind. Sadly, I am about to sound like a party popper, but I really have to burst this bubble. The chicken although unsettlingly tender lacked any depth of flavour and quality. The rice was rice and the peanuts on the side were forgettable. I really tried to like this place but when asking myself is this delicious ( Michelin star aside) the answer was, no, not really. At $6 there was no complaining as I didn’t have to queue long but I would have been mightily peeved if I had had to stand in the sweltering heat for such an anticlimactic ending. Great that the Michelin guide is opening up to acknowledging incredible food can be found in the most surprising of places however, here, really ? It was with great joy I watched another chef make these fiddley little Japanese dumplings to order. 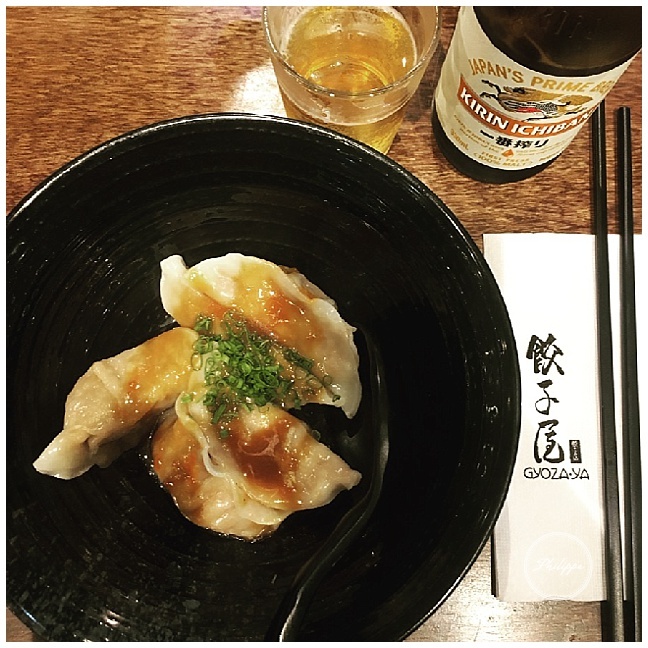 Perched on a stall overlooking the small bar like kitchen I tapped my order into the I pad, so sadly missed any potential for pre gyoza foodie chat. As promised my cold beer and a small iced glass arrived, by actual human, and was swiftly followed by deliciously sweet and tender pork stuffed dumplings. 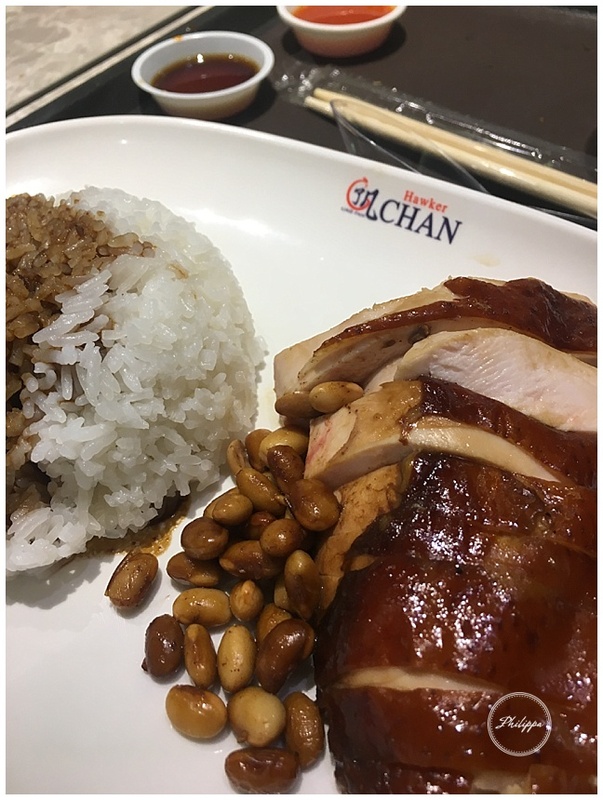 As these restaurants are mostly found in shopping centres and have I pads for waiters this chain lacks any fun buzz you may be looking for however it does provide convenient fast, tasty dumplings to help boost moral when on a shopping trip. Peking duck is getting to be all the rage in the food world at the moment it has however been around since at least the 1330’s and was first believed to be made in Beijing. 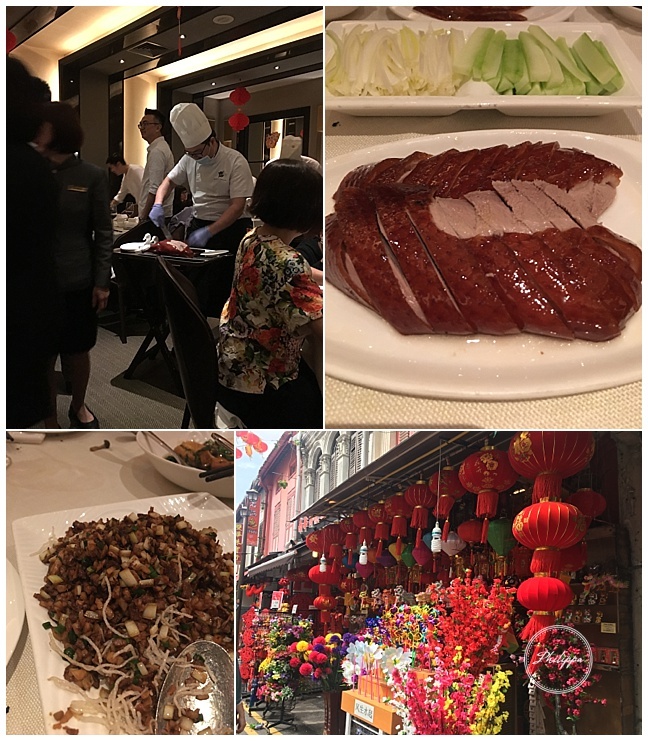 Not to be mistaken for crispy duck, Peking duck is also served with pancakes, spring onion, cucumber and dipping sauce however there are some major differences. Most obviously is the thin crispy , glossy skin that is so shiny you should almost be able to see your reflexion in, and is often eaten separately. The duck is expertly sliced table side by the chef then the legs and bones taken away to produce another dish for later in the meal. We had ours fried and served with lettuce to cocoon it in and it was glorious. To make the duck it takes two days and some rather elaborate equipment as the duck is pumped full of air, coated in maltose and left to air dry. It then has to be roasted while hanging often in a pot bearing dying embers which will give it a very slight smokiness. If you don’t fancy trying making this at home I thoroughly recommend trying it at the modestly named Imperial treasure super Peking duck restaurant. Note; Don’t be put off that this place is in a shopping centre , lots of great restaurants are in Singapore. This is a must visit Malaysian restaurant in the Arabic/ Muslim area of Singapore. With around 40 dishes to choose from don’t expect to know the names of everything. I had a brilliant lime leaf squid curry, an egg that had been boiled, peeled then deep fried and served with sambul ( a spicy sauce), tofu with tempeh ( fermented soy) with chili and about 15 other dishes. This pick and mix style of eating greatly appeals to me and with the friendly and fascinating atmoshpehre right next to the mosque, here is the perfect place to do it. Try the shocking pink drink of sweetened rose water with milk to top of this food adventure. You cannot leave Singapore without trying a curry laksa, however I do give you permission to leave without having tried the one from here. Massively disappointing my mini adventure getting to this out of the way branch was really not worth it. What should have been a lip smackingly good spicy noodle coconut broth with fishcakes, prawns and clams was a mess of over fishy and lacking in exiting complex flavours broth with very dead prawns and mighty clammy tasting clams. 323 Katong rose to fame when in 2013 they beat Gordan Ramsey in who could make the best laksa however I can only assume he was having an off day or standards have slipped. It is however a really rather delicious idea and my search will continue to find a better one so stay tuned ! Still rather strange and cold to me ,you order and pay from a machine before you sit down at the bar surrounding the kitchen. The element that has made everyone cause such a fuss about this place is the addition of truffle to the dish. I tried the shoya soba with pureed truffle and truffle oil, pork and leek and was left thinking ‘how odd’. There is such an incredible depth of flavour that can be achieved when the broth is made by simmering meat, bones , seafood, vegetables and spices that the addition of truffle seemed rather obnoxious and not well though through. The noodles, made on site, were fabulous and the egg deeply rich and luscious in flavour and texture. 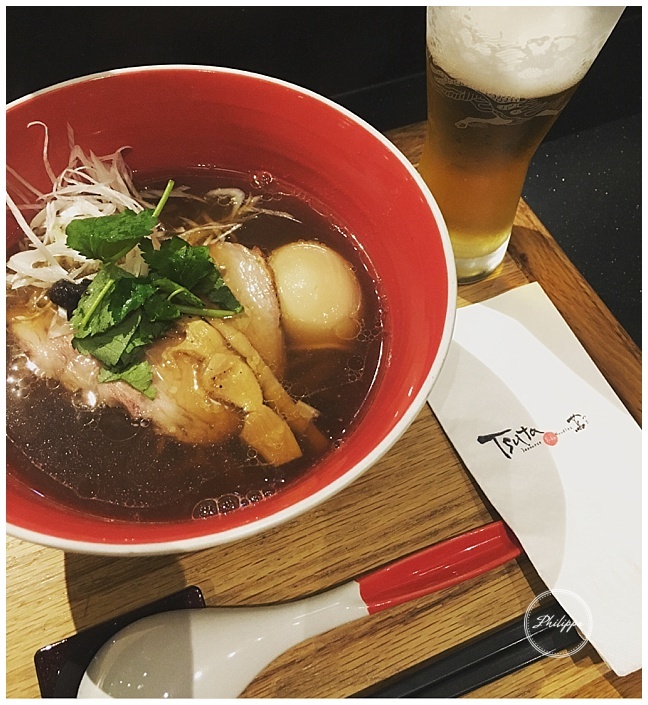 Although far from awful I imagine there are far better places in Singapore to get a ramen hug. This Michelin starred restaurant is part of a beautiful cluster of shops, bars and restaurants. 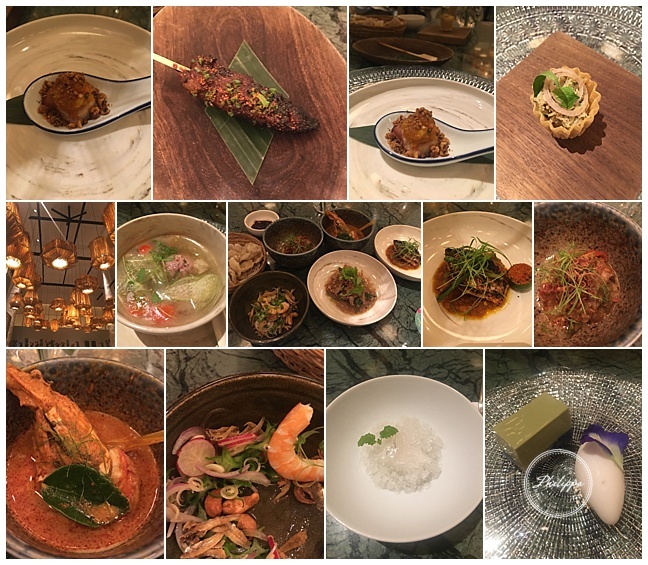 It specialises in Peranakan, which will probably be the next big food trend in the west ( you heard it here first ;). 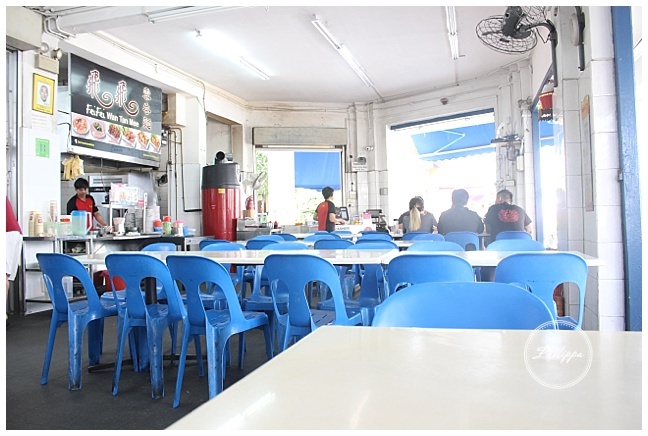 Taking its flavours, methods and techniques from the original Chinese migrants who settled there and combined their style with the local Malay ideas, Perenakan food is one of the first fusion types of cuisine. With coconut milk, galangal tamarind, kaffir lime, noodles, chili and lemon grass being key themes expect to find almost curry like dishes to enjoy. Candlenut have an excellent tasting menu that will take you perfectly through their variety of dishes and it is worth getting there early to have a drink at the beautiful adjoining bar. Standout dishes were a spicy tiger prawn in coconut , a grilled piece of barumndi and the lemon balm ice served as a palate cleanser. 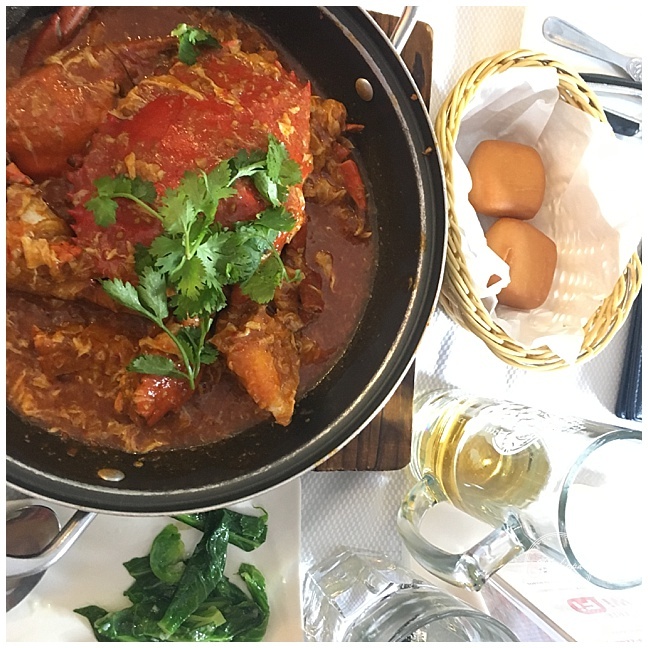 In true geek like fashion when I heard that chili crab was one of the must try dishes of Singapore I spent a ridiculous amount of time researching and deciding where to try it. The dish should be a sweet tasty crab served in a rich, spicy, thick sauce and a side of sweet doughy bun to help soak up all the sauce. 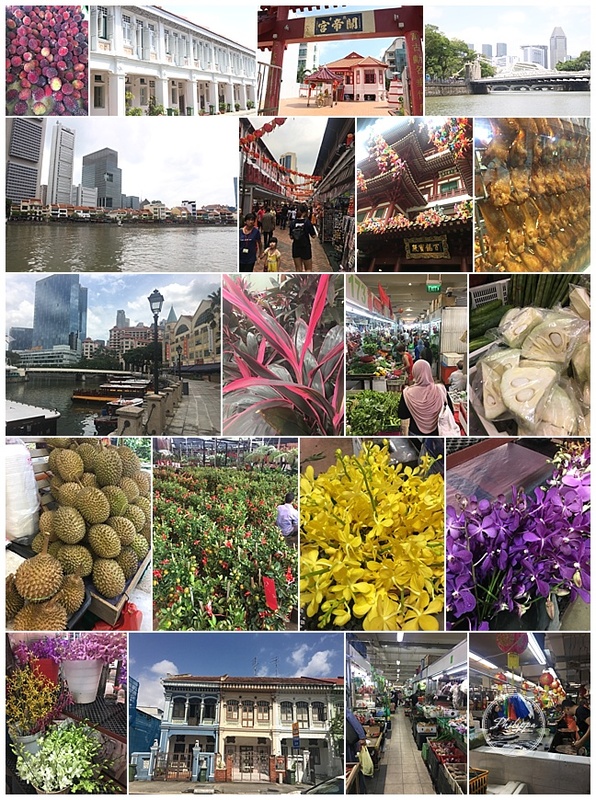 Jumbo has a few outlets and the one I tried was by Boat quay which overlooks the eclectic and colourful mix of old and new Singapore with perfect views of the busy river. Though quite frankly I was so busy working away at getting every single morsel of the incredibly sweet flavoursome crab and tucking into the rich, perfectly balanced sweet and spicy sauce that you could have sat me next to a blank wall and I would have been just as happy. Accompanied by a cold beer and a side of Asian greens this was one of the best meals I had here. 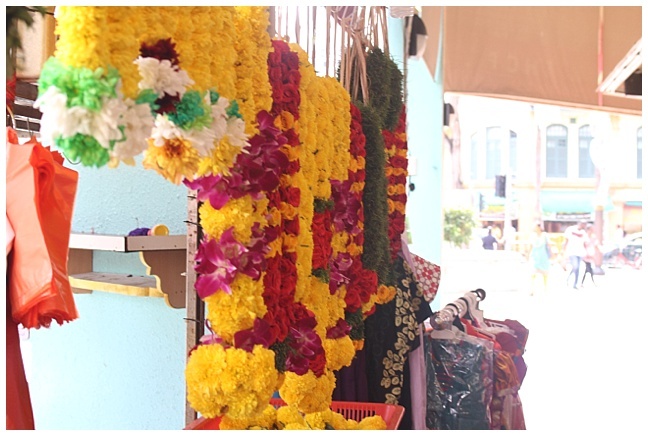 One of the most well-known and loved hawker centres, you will be missing out if you don’t come here at least once. 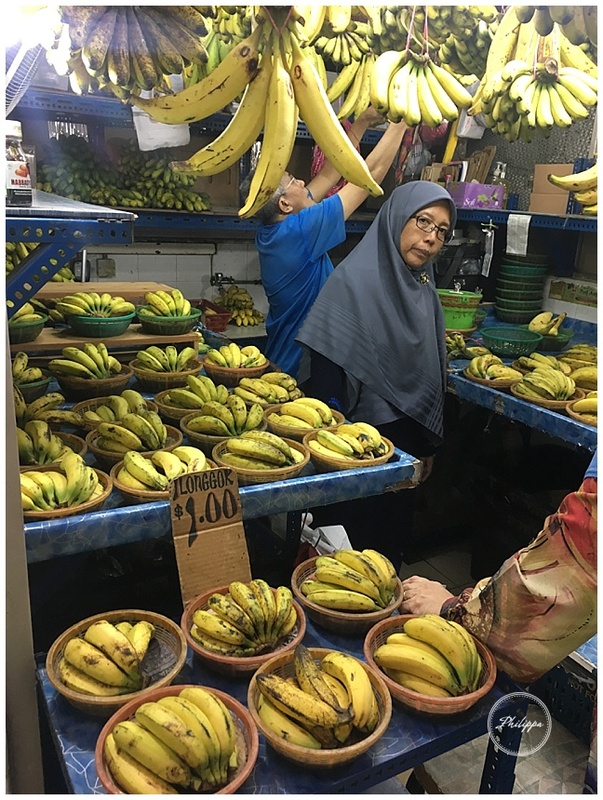 With so much to choose from it may seem a little overwhelming at first but from Indian to Malay to Chinese most Asian foods can be found here. 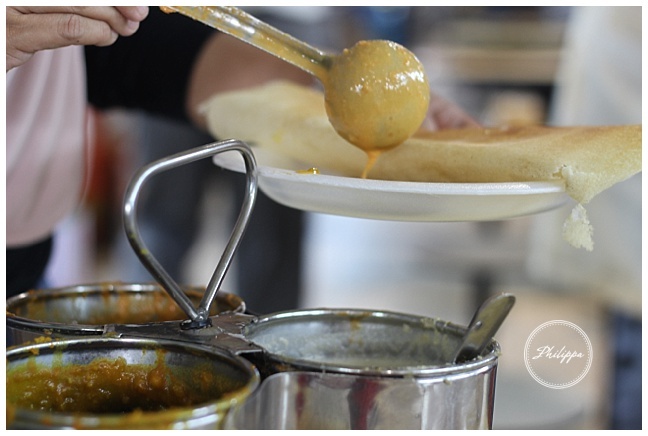 As its located in Little India I went for dosas – fermented rice pancakes with various chutneys and sauces. Best Eaten with your hands it is a very immersive and deliciously satisfying experience well worth sacrificing a pile of napkins for. 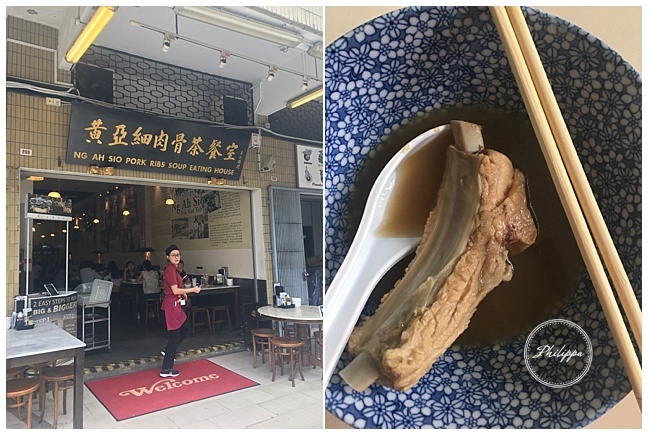 Another famous dish to try in Singapore is Bak kut teh, which is pork rib bones simmered in a mix of herbs and spices and although the dish itself does not contain tea, it is usually accompanied by a pot of oolong. 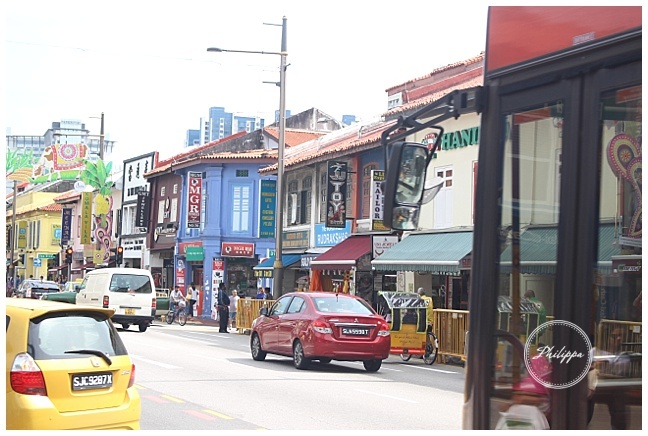 Ng ah sio Rangoon road branch has made millions of bowls of the stuff and its charmingly authentic restaurant has attracted celebrities, politicians, locals and keen foodies. I was not impressed and was left sorely disappointed by the odd spiced broth and the deeply lacking in porky rich flavour ribs. However, as it’s a relatively cheap eat and the atmosphere quite fun there is no harm in trying it if you think this kind of thing will appeal, especially as the dish is light enough to be considered a pre lunch lunch. For various reasons it was sad when my trip to Singapore came to end, one of which was I had to sever my supply of steamed dumplings from Din Tai Fung. Super popular with families at the weekend this fast, fun, vibrant chain of Taiwanese restaurants. 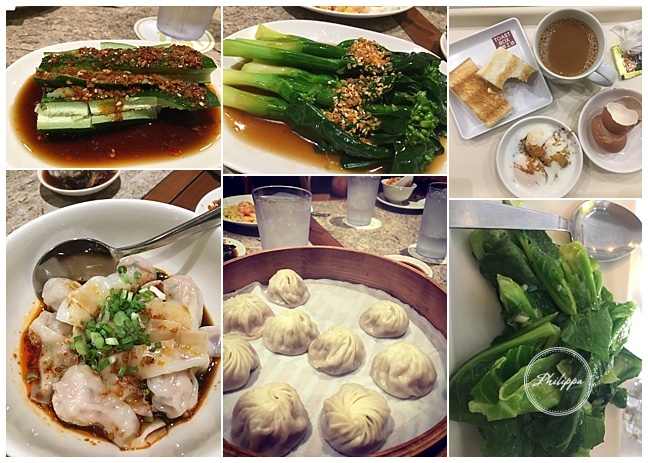 Everything here is worth trying but don’t forget to get ambitious when ordering the xiao long baos ( steamed pork filled dumplings) they are insanely good. “Darling, I am taking you to Italy and we are going to buy a diamond”! Although many a person would be disappointed when they discovered that rather than a sparkling stone to be worn, your lover was talking about an edible underground fungus that resembles a dirty pebble, any food enthusiast (like myself) would be totally excited. The tuber Magnatum Pico a.k.a. 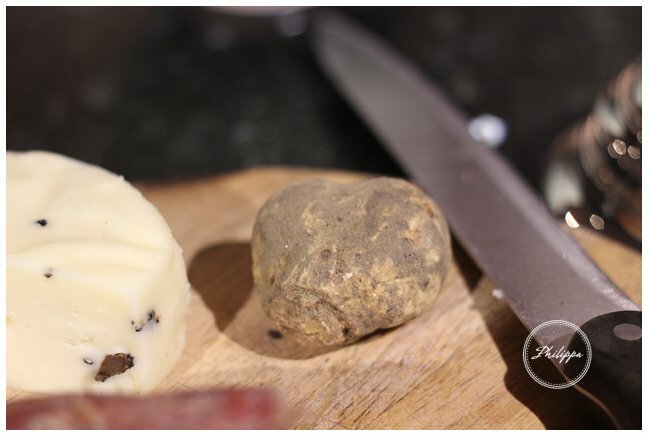 the White Winter Truffle, White Alba Truffle or ‘diamond of the kitchen’ is one of the most prized, unique and decadent ingredients you can eat. Current London prices can be as high as £10,000 a kilo.